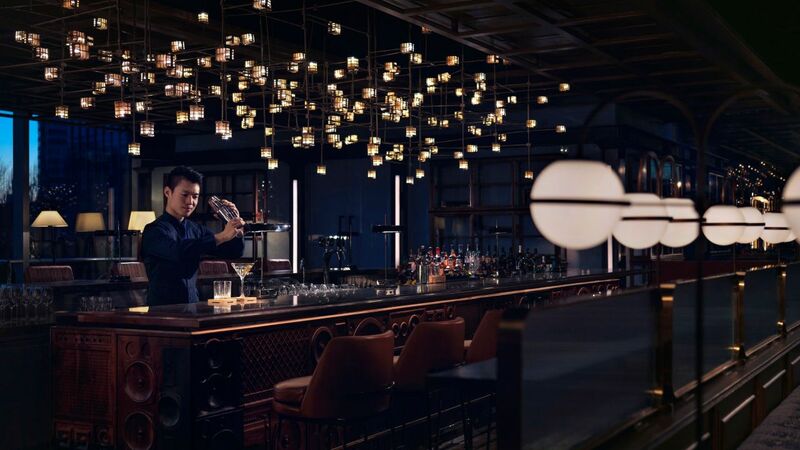 At Hyatt Regency Beijing Wanging, five tempting restaurants and a bar offer authentic, regionally inspired food and drink freshly prepared with premium ingredients. Market Café is the energetic dining hub at Hyatt Regency Beijing Wangjing. 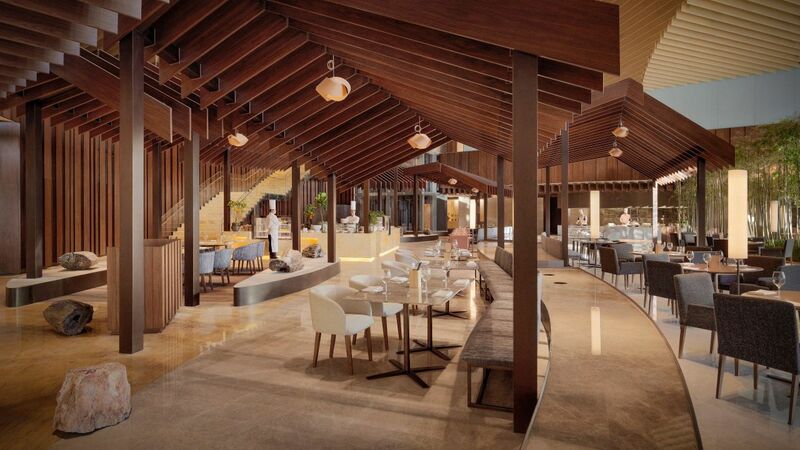 Conceived as an extension of the adjacent outdoor garden, guests can enjoy a ‘picnic-in-the-park’ experience, dining under pitched louvre ceilings amid greenery, gazebos and water features. At open kitchen islands, experienced chefs offer live culinary theatre and showcase freshly prepared regional and international cuisine. An extensive wine selection enhances the dining experience. Breakfast buffet: 6:00 a.m. – 10:30 a.m.
Dinner buffet: 5:30 p.m. – 9:30 p.m.
À la carte: 6:00 p.m. – 10:00 p.m. 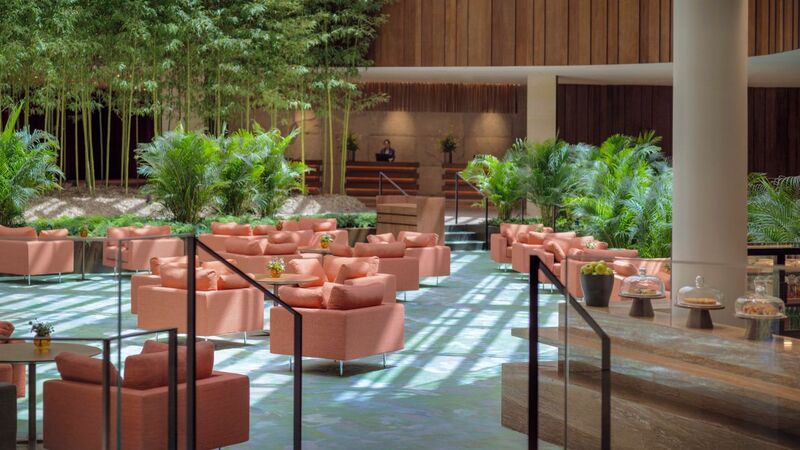 Located near the hotel’s main entrance and atrium, The Lounge has been designed to evoke stepped rice terraces and features multiple levels, organic curves and furnishings inspired by nature. 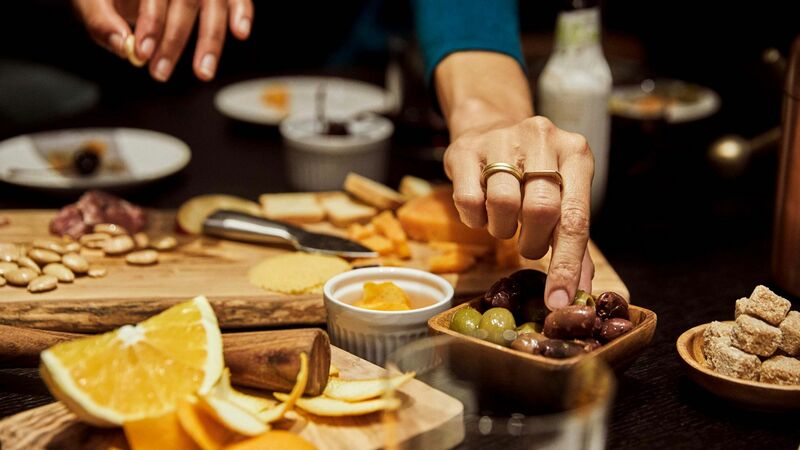 At this relaxed urban sanctuary, guests can enjoy light meals and drinks throughout the day. A glass counter showcases freshly baked croissants and other pastries in the morning and cakes, cookies and chocolates come afternoon. 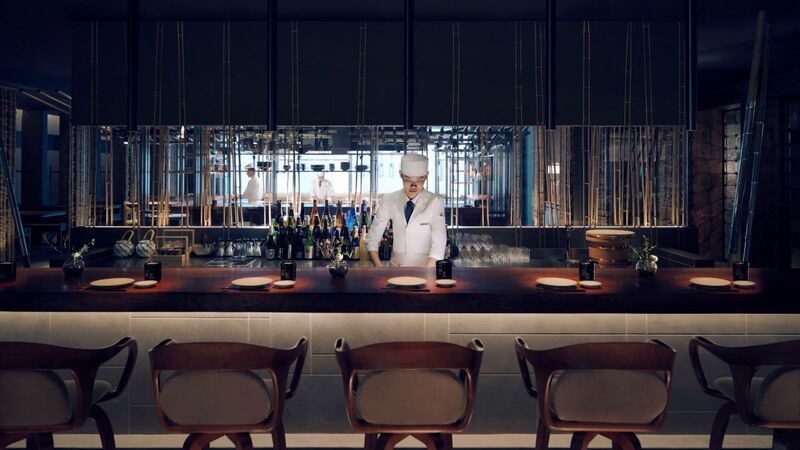 Cang Yue is a contemporary Chinese restaurant specializing in authentic Northern Chinese cuisine, Cantonese Dim Sum and Shanghainese specialties, accompanied by a carefully curated selection of wine and tea. 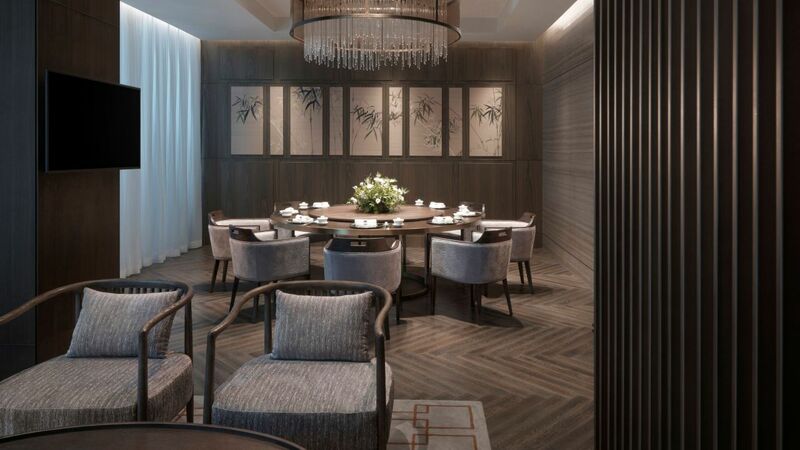 Featuring a spacious main hall and eight private dining rooms to seat six to 28 guests, Cang Yue is ideal for celebrations, both business and personal. Shunpachi is a stylish, contemporary izakaya-style restaurant offering an array of Japanese specialties. At open kitchens, experienced chefs prepare fresh maki sushi, crisp tempura and steaming bowls of udon in front of guests. Three private dining rooms are available, each seating 12 guests. After a busy day of work or sightseeing, wind down at The Music Bar with a glass of wine or creative cocktail while being entertained by live musicians and DJs. Monday - Thursday: 5:30 p.m. – 1:00 a.m.
Friday & Saturday: 5:30 p.m. – 2:00 a.m.